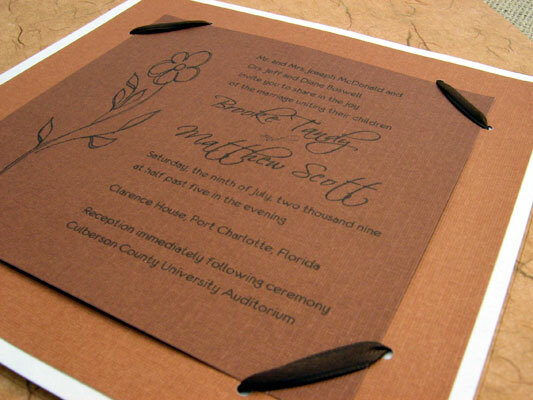 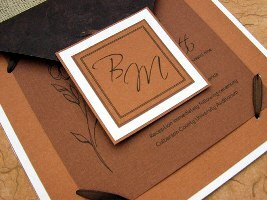 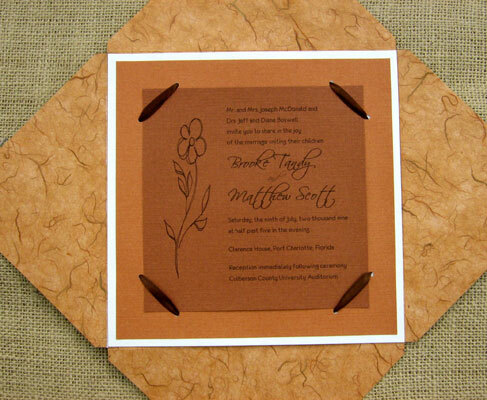 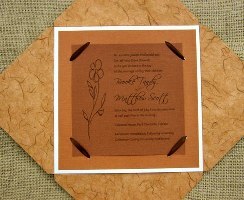 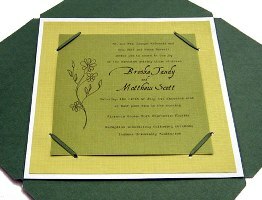 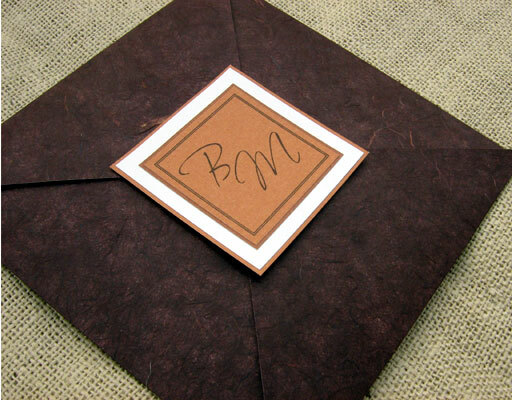 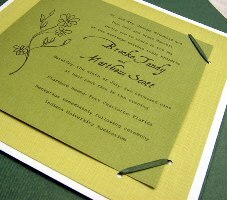 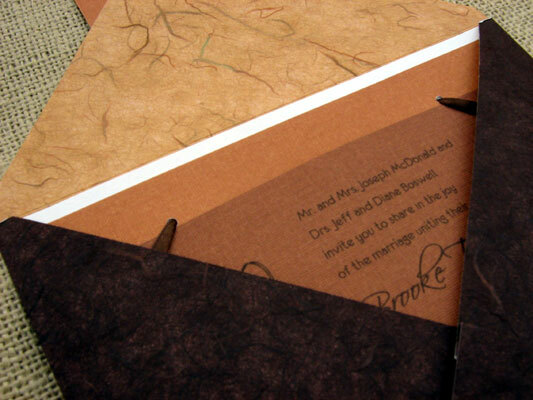 These invitation ideas were inspired by the rich earthy colors of fall and are sure to please for your beautiful autumn wedding. 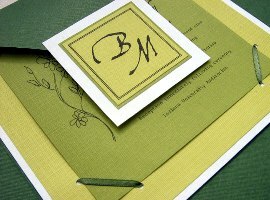 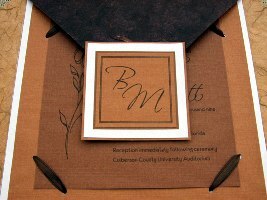 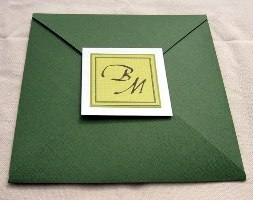 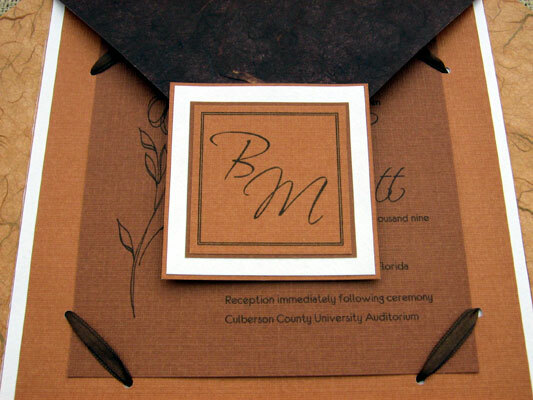 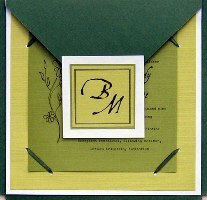 We combined three different shades of stock paper, a monogram design of the couple's first name initials and ribbon laced edges to complete this elegant design. 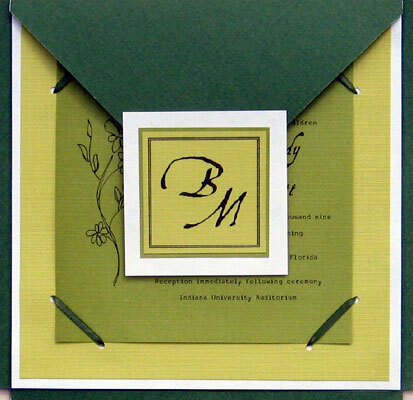 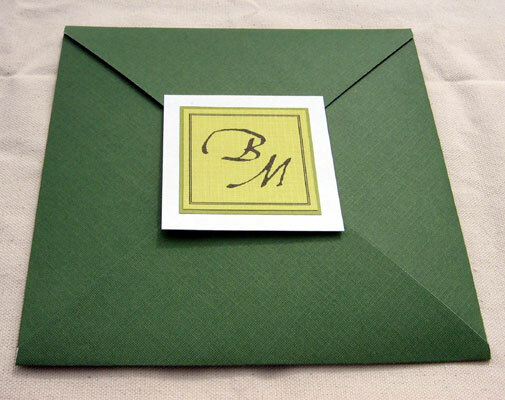 The intricate fold of the custom made envelope adds a touch of class to this invitation design that will impress your guests before the big day.